Many of the people fighting for minimum wage increases – especially students and other youth – should actually be the ones opposing this legislation. 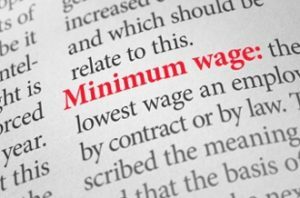 While the economic and moral theories about minimum wage are hotly debated and the literature on associated overall economic effects is often mixed or inconclusive, there seems to be one common theme for the youngest in the work force: when minimum wage goes up, employment for teens and workers under 24 goes down. The most exhaustive recent study I found reviewed nearly 200 minimum wage amendments over the last 30 years in Canada and found that a 10% increase in minimum wage is associated with up to a 4% reduction in youth employment . A study which looked at minimum wage hikes during a 30-year period in California found the decline to be nearly 5% . A 2016 study published in the World of Labor (WOL) provided a comprehensive and convincing review of international literature pertaining to youth unemployment and found a consistent associated decline in employment and revealed that the studies which claim no negative employment effects “often have focused on narrow groups of workers or case studies” . A very basic understanding of the standard economic model is all that’s needed to make sense of these results. If an employer is forced to pay higher minimum wages, then some low-wage workers will get laid off at the expense of others making a little more. The age disparity among minimum wage workers is well evidenced. 16- to 24-year-olds comprise less than 14% of the workforce but make up over 50% of minimum wage earners . Matthew Rousu, PhD, Associate Professor of Economics at Susquehanna University in Pennsylvania recently wrote that federal minimum wage “has a devastating impact on teenagers” since companies cannot and will not pay young workers with no skills or experience minimum wage, let alone a higher wage . The reason this is so problematic is that today’s youth and workers under 24 are the future of our country and, statistically, those who are unemployed at an early age are more likely to earn less or be unemployed in the future . So, my question for higher minimum wage advocates is this: shouldn’t we be getting more youth into the workforce earlier instead of creating economic obstacles for more of them? And if the argument is to mitigate the expanding wealth gap then why should we support legislation that has been shown to increase wages for some and decrease employment for those earning the least? Think about it like this: Like many of you, I chose the University of Waterloo for its co-op program. It allows us to get our foot in the door, gain valuable skills and accelerate the discovery of our passions. Fortunately, we’re able to accept positions for less than minimum wage because they’re considered ‘internships.’ But shouldn’t everyone have the opportunity to gain experience and get started climbing the ladder regardless of what their labor is worth? Certainly, those without access to education shouldn’t be repressed of this opportunity. We don’t tell baseball players they can’t play ball until they’re good enough to make a minor league team. They’re encouraged to start at little league, class A, or double A – wherever their skills are suitable – and allowed to learn, compete and have the ability to climb the ranks. Removing the lower rungs of the ladder thwarts opportunity and only hurts those at the bottom. I happen to believe the federal government should not determine wages, but that the free market should. And this isn’t just me proclaiming capitalist principles; a Small Business Network survey found that 82% of small businesses agree with this very statement . Why would they support an arbitrary, one-size-fits-all minimum wage which – according to Dr. Mark Perry, PhD, of the American Enterprise Institute – is “almost never based on any sound economic/cost-benefit analysis”? The market is simply too heterogenous and dynamic with “supply and demand conditions that are specific to local market conditions [which] vary widely by geographic region and by industry” . So, why exactly are so many people convinced that minimum wage hikes are the answer to bringing low-wage workers out of poverty? Many have made the moral argument that firms should not be allowed to exploit workers and pay them unethically low wages. First, what constitutes an act as unethical? Shouldn’t every worker, or private unions of workers – which can have considerable power – be able to decide for themselves what’s ethical and accept or deny offers without the government infringing (with, of course, the exception being child labor since children cannot legally consent)? In fact, there’s an argument for a breach of civil rights when you disallow someone to accept an employment offer that they deem acceptable. How can we possibly determine a universal ethical threshold? Where did we get $14 from? Why not $20? And $13.50 is suddenly unethical? And second, the exploitation argument is a valid one but it’s only valid for monopsony markets in which competition does not exist. It’s well documented that wages will be lower in these markets than in their competitive counterparts and that minimum wage hikes can actually have positive effects in complete monopolies. However, while no market today is 100% free, our economies in Canada and the U.S. are predominantly free markets – this is why we’ve observed that minimum wage hikes do not work from a macroeconomic lens. It makes sense that a free market is the best way to maintain the competition that prevents workers from being exploited. Let me be clear: while I disagree with the market interference that minimum wage proponents are suggesting, I absolutely resonate with and support the goals of reducing poverty in our communities and across our country. However, I’m convinced the real income inequality culprits lie within a lack of access to education, drug and substance abuse, cultural disparity, absent parents in the home, etc. or, in many cases, a combination of these. But preventing a young, consenting worker from gaining experience is certainly not the solution; let’s be careful what we wish for.